The Launch has a ton of top products, and Launch CRP129 is one of their flagships. 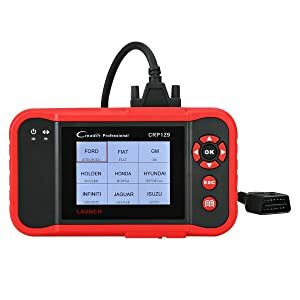 Mechanics all over keep buying Launch CRP129 for a reason, it’s one of the best OBD2 scan tools. This scanner has a lot of features that are extra handy. 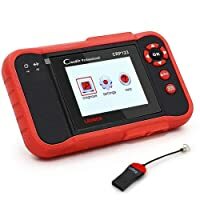 Below I will go into more detail about why you need to get the Launch CRP129 Scanner if you work regularly on cars. 3 Who is Launch CRP129 built for? To start with the interface is designed well, so it makes it easy to read codes and reset any lights. The screen is roughly three inches and it is bright. The control pad also has four arrow buttons, so you can scroll in whatever direction you need too. It has a dedicated button for selecting things and also has a dedicated button to get back a screen. One of the big features that make this diagnostic tool stand out above the rest is the book button. This simple little button enters a screen that tells you what the code that it is giving means. This extra little feature saves a lot of time from having to look things up. Another great this about this little scanner is it is extremely versatile. So you know it is a scanner to read check engine lights, but it can read other lights too. It can tell you why your transmission light, abs light, and airbag light are on as well. This is a real convenience thing because you don’t need multiple scanners for each light. This also helps in the cost department. 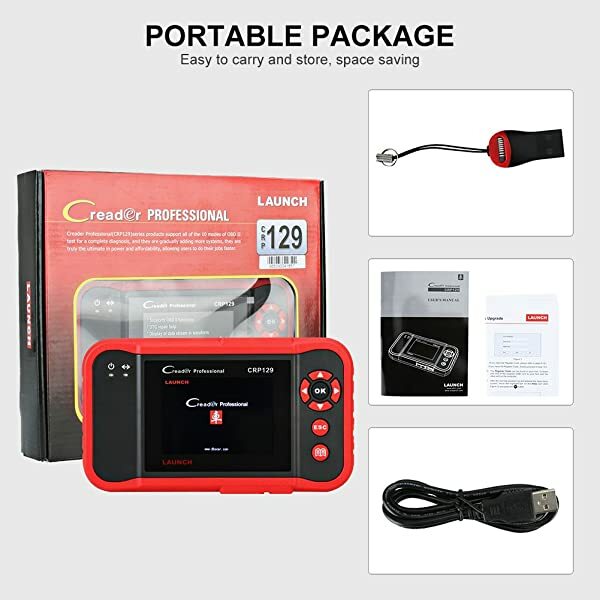 If you are not used to buying car tools, then you may think this scanner is costly, but in all actuality, it is very budget friendly for everything it can do. You can have one scanner to check all the lights in your car. That is a lot of budget savings right there. I still haven’t even mentioned all it can do. The CRP129 can also run the oxygen test on your car and carbon canister test. This means that this thing can do a lot more than just DTC codes. Not only can it reset your check engine light it can also reset your oil light, reset your break block, and correct steering angle system. This scanner can literally do pretty much everything. Outside of being an all in one scanner, it works on pretty much any car made from 1996 and forward. As long as your car has a 16-pin OBD-II port this scanner should work for you. Even if you have a foreign car, such as a BMW though, this scanner can work. You can purchase an adapter to convert it to a 38 or 20 pin. This makes this unit, even more, cost-effective because you don’t need to buy a separate unit for those brands of vehicles. 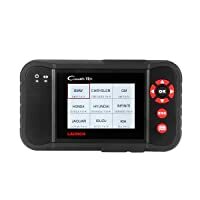 This scanner supports all 10 test modes for OBD-II cars which are great and has a lightning fast boot time. Even though this scanner can clear codes for you, it also has another really cool feature and that is it has an SD card slot. This slot you can put an SD card in and save codes and information from the built-in book. You can then print this information out. This can really help with repairs or help you tell someone what is wrong with their vehicle. The scanner does not have a battery, which is actually kind of a good thing because it means it is always ready to work. Just plug it in and it will kick on. The small size makes it easy to keep with you at all times. Some people may consider the no internal battery a code. This is because if you are working on a lot of cars you will probably come across plenty of dead batteries. If that is the case, then you have to switch the battery out before you can read any codes. Secondly, the software cd to use this with your computer is not included, so you have to spend a little time downloading it. Luckily the unit has a codebook itself, so if you need to use it right away you can. The software also is not Mac compatible, but this isn’t much of an issue since you can find the code meaning in the device. Some people claim that it doesn’t work with their vehicle. That might be the case, it could more likely be due to the fact that since the CRP129 is such a great scanner some people have begun counterfeiting them. This means you get a product labeled as a Launch Tech scanner, but it is just some knockoff that doesn’t work. Just make sure when buying your Launch Tech diagnostic tool to get it from a trusted site with a return policy. As long as you do that you will get a real unit that is everything you are expecting it to be. Possible Compatibility issue (check carefully before buying). Bottom Line Launch CRP129 is a fast and efficient scanner designed for Beginner Mechanics and Experienced Enthusiasts. 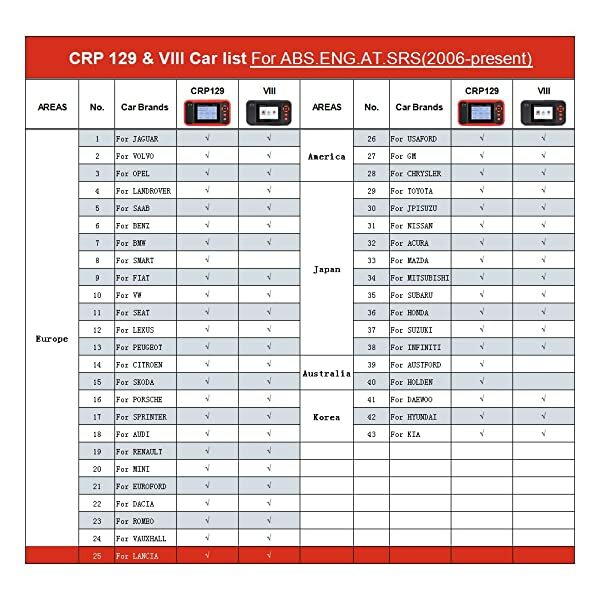 Launch CRP123 is a helpful tool for average car owners & DIYers. Launch Creader VII+ is highly recommended to DIYers or average car owners. Who is Launch CRP129 built for? The Launch CRP129 is an amazing scanner full of a lot of features. This scanner is more geared to semi-professional or professional mechanics. If you work on different vehicles regularly, then you really should consider getting this scanner. The fact that this scanner does pretty much everything all in one device is amazing. Also, if you are used to buying car tools, then you know that this scanner is extremely budget friendly. If you have to buy all the different diagnostic tools to cover what this one scanner do you would spend a lot more? 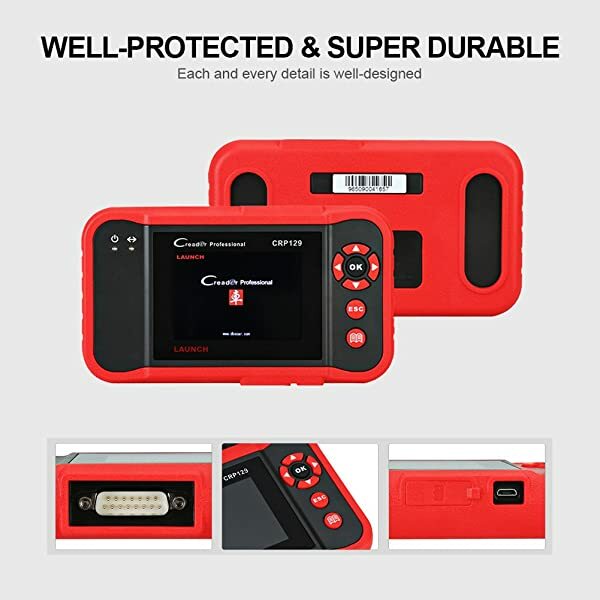 If you will use even half of the features that this OBD-II scanner will do, then you should get it. It is an easy scanner to you and will make things a lot more convenient the next time you work on a car. 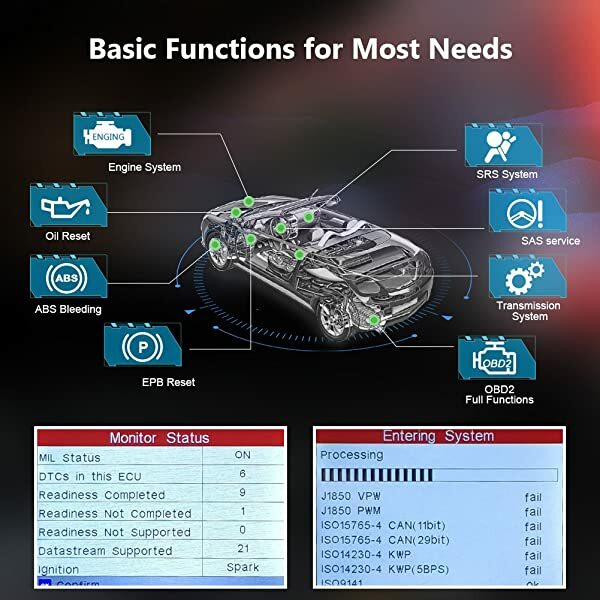 In these Engine Code Reader reviews, you will find: Special Features – Pros and Cons – Vehicle Coverage – Comparison Chart – Recommendation – FAQs. KOBRA ELM327 is one of the best Wireless OBD2 Code Reader for car. Read my review of this scanner now the find how good it is.